Thats right. 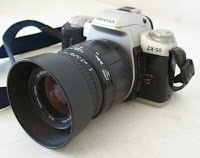 In the age of digital I am shooting 35mm again. Or will be shortly. My first job straight out of college (1972) was as an assistant to a professional photographer. After a year or so I got the wanderlust bug and wandered from job to job between travelling overseas. Unfortunately for a good many years I didn’t have a good camera. The best was the usual happy snapper found in any dairy or chemist. When working with the photography firm, they had used Mamiya portrait cameras for the bulk of their work and 35mm for fast snaps at the wedding party. To do this sort of work I bought a second hand, (almost new) Practicka LB. 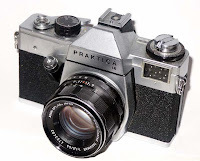 Pretty much the only SLR camera of the 1970’s that a budding photographer could afford on a meager salary. I also had my own enlarger and darkroom. In those days 35mm film was almost exclusively black & white. Color slide film was expensive at the time, so we budding amateurs would use B&W. Color processing was slow and expensive also. 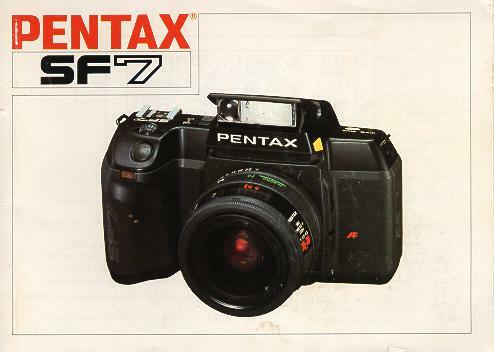 I currently have a Pentax k1000, a Pentax SF7 and have recently purchase for the princely sum of $45.00 NZ a Pentax zx-50 complete with a 35-80mm and 75-210mm lenses and a case. Not too bad. Original price for this new would have been somewhere around $2000.00 NZ dollars. So for the money I am getting a lot of camera. 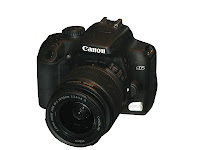 This is a smaller SLR than my others and should prove to be more useful in day to day work. Being either full manual or full auto is handy depending on what I am doing. The SF7 is also another AF camera but is a lot heavier and slower than the zx-50. 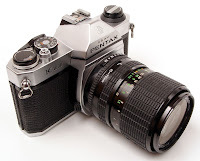 The main reason for shooting analogue is really quite simple. Better quality images. While the digital is good it wont match the dynamic range of film. The top line digitals are getting close but are extremely expensive, both here in New Zealand and in other countries. These being top level Nikon, Hasselblad and Leica’s to name but a few. Both are a good introductory cameras for the more serious amateur/enthusiastic, but will soon be found wanting as the skill level increases. Both suffer from limited dynamic range and like all digitals have a hard time with white balance issues. These issues aren’t insurmountable. 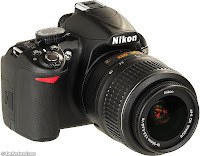 As these cameras are capable units, its a matter of working to the limitations. The same of course applies with SLR’s. However film SLR’s dont have these types of issues.They are considerably more what you see in the viewfinder is what you get. The learning curve for either variety of camera is about the same. I get my negatives or slides scanned directly to CD in jpeg or tiff if I want. The average sized jpeg file is approx 40meg from one 35mm frame. More than enough information there to post process with. As I have more time over the Xmas break I will spend some time shooting film and digital and see how they match up. Stay tuned. I was in high school in the 80’s and got a Cannon AE-1 back then. I also had my own B&W darkroom equipment. I still have the camera but haven’t used it in about 15 years. 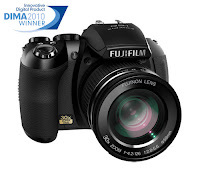 Just moved up from an old digital point & shoot to a Fuji HS10. Nice blog please keep the HS10 tips coming. High Kevin good to see you. The HS10 goes almost everywhere with me, its such a versatile unit. I will be using my Film slr’s as well but in a more specific role. This will be for a photo pictorial I am working on for a book.